This program covers how I have been steadily reintroducing film into my everyday work flow over the past few years. Many photographers will tell you that the experience with portrait studio is one of the main ways to separate yourself from the competition. I too believe in that school of thought, and working with the 4x5 and soon 8x10 view cameras provide that unique experience along with the various medium format cameras I use to create my work as well. “Imagine having your picture created with the same camera that once photographed Marilyn Monroe?” Now that’s an experience and a story to think about. I will discuss the various equipment I used to create my film based images from the types of cameras (that can still be had for very little investment) to how I process my film at home and then scan for retouching and sending to the lab for printing.. I answer the questions about cost, blinks, how to establish exposure, and all questions regarding silver based photography. I explain how working with film has made me a better photographer, show results of competition images that were shot on film and ultimately landed in the PPA Loan Collection. There is a renewed interest in working with analog amongst many creative disiplines and we are seeing a resurgance in the craft of photography as well. Tis is a lecture type program aimed to answer questions and inspire organization members who may be interested in adding silver based photography back into their tool kit and looking for a different experience to provide their clients as well as themselves as a photographer. Pete Rezac, small business owner specializing in luxury fine art black and white portrait and family photography based in Reno, Nevada. Pete still chooses to work with medium and large format cameras and film in creating his fine art portraiture because of the tactile process it provides him in creating his work, along with the rich tones and high fidelity of the photographs that come from these tools. Seeking an authentic look to his children character portraits, Pete was inspired to create timeless portraits showing children at their best. This work has earned him numerous accolades from the photographic community. Pete holds the Master of Photography, Photographic Craftsman, and Certified Professional Photographer degrees from the Professional Photographers of America, along with the Professional Photographers of California Master Photographer and Service Medallions. He is also a PPA approved Certified Professional Photographer Exam Preparation class instructor and active educator teaching and mentoring other professional photographers throughout the United States. 2018 Pete was also approved as an International Photographic Competition Approved Juror. 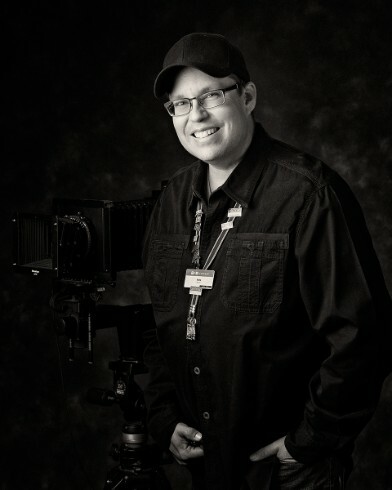 Pete also serves on the Board of Directors for the Professional Photographers of California.